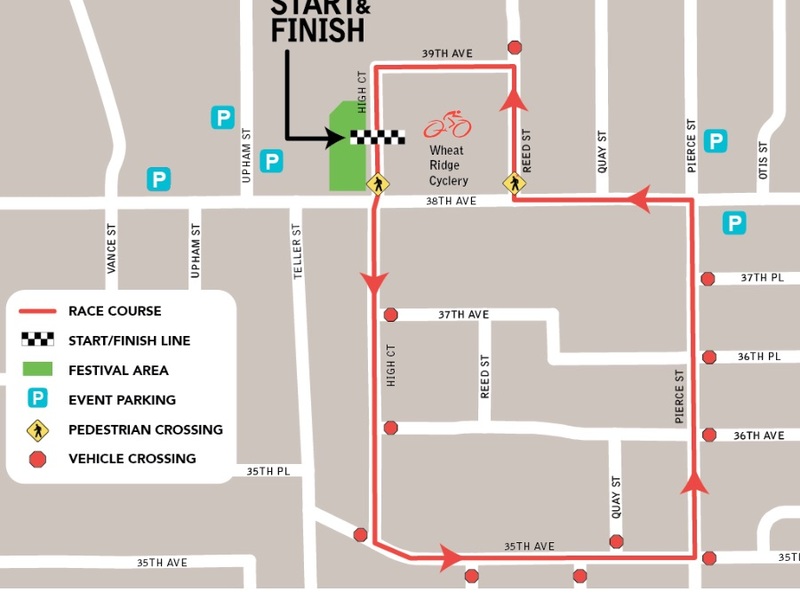 Last year I missed out on this race due to a travel conflict, so I was very excited to race this criterium this year. 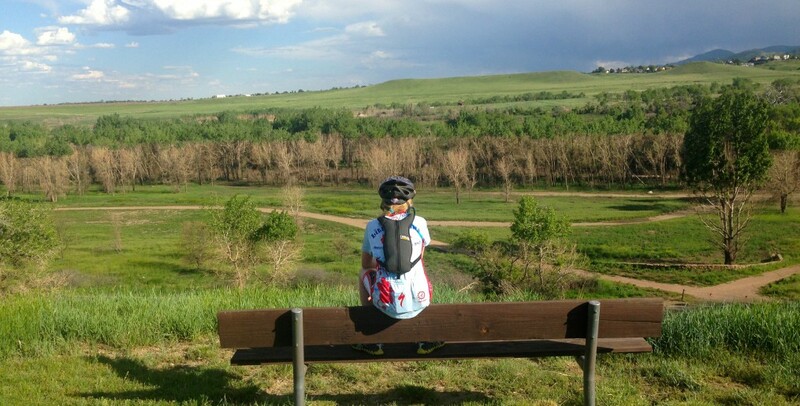 Wheat Ridge Cyclery and the entire Wheat Ridge community came together to put on a top notch race. This was apparent from the moment I arrived early on the morning of June 7th. I had pre-registered for the race and was able to quickly pick up my race bib from the registration tent. I saw a couple of team mates on the way back to my car. Just as I pulled my bike out of the car, one of my team mates pedaled over and mentioned the course was open for a quick pre-ride before the next race began. I quickly grabbed my helmet and set off to ride the course with her. The start/finish was right in front of the Wheat Ridge Cyclery main entrance. From there, the course went south up a shady, slight hill and then took a left. There were two more left turns that brought racers back to 38th Avenue, followed by a quick series of right, left and left turns that brought you back around to the front of the store again. This course was sure to be fast and fun with all the corners. The pavement was smooth and swept clear of gravel. Aside from the occasional man-hole cover, you couldn’t have asked for a better race course. It was a clear, sunny morning (finally) so wet streets would not be a factor in today’s race. I lined up at the start line with 16 other category 4 women and 7 women from the 50+ masters division, for a field total of 23 racers. We were scheduled to race for 40 minutes. When the whistle blew, we took off in a sprint up the hill. I knew if I didn’t stick with the peloton, I’d get dropped shortly after that first turn as the speeds increased on the downhill. I put forth whatever effort was necessary to ensure that the peloton didn’t pull away from me on that first corner. After a couple of laps the peloton began to settle into a very fast pace averaging 23 MPH. In the midst of one of these laps, we heard a noise reminiscent of a shot gun blast. I had heard this sound one time before when a tube popped mid-ride, which is precisely what had happened to one of the racers in our peloton. Fortunately, she didn’t go down, was near the outside of the peloton, and was able to safely pull to the side of the road and stop. Eventually, the race officials put up the number of laps remaining and the countdown began. I tried to find as much shelter as I could as often as I could during the 15 laps of the race. My team mates had not been able to stay with the peloton, so I didn’t have anyone I knew to work with. When we lapped the gals that had been dropped, my team mate slipped back into the peloton on the second to the last lap. The speed picked up for the last lap to close to 30 MPH and I began to drop off the peloton with a half a lap remaining. At this point, my team mate pulled in front of me and led me back to the peloton, enabling me to have a sprinting pack finish. The tactic was executed flawlessly and I’m so proud to have been a part of it. Thanks Jen!! This race was by far the funnest of the season. The course was fast and curvy, just what this gal needs to fulfill her need for speed! Well done, Wheat Ridge Cyclery, well done! 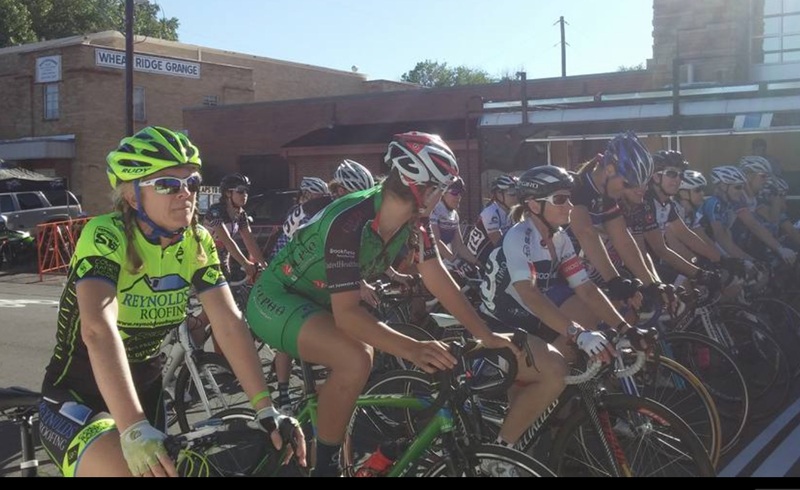 This entry was posted in Race Review and tagged bike racing, bikes, Cannondale, Cannondale supersix evo, colorado cycling, cycling, teamwork, women cycling, women racing. Bookmark the permalink.